The toys that get the most use in our house are the ones that are open-ended and encourage creativity and imagination. It’s frustrating to see my children play with a toy that does just ONE thing and then they are bored with it shortly after. These one and done toys just create clutter and chaos. If you are like me, you want your children to stay engaged long enough for you to get some stuff done around the house, while also providing beneficial learning experiences. If you are looking for some toy and gift ideas for children that allow them to be creative and stay engaged in play, here are some of my favorites. Tinkertoy kit– This classic wood set has been around for years and offers limitless building ideas. Child development benefits include “strengthening hand-eye coordination, fine motor skills, problem-solving skills, spatial awareness and exercising their imagination”. Marble run– This is a favorite in our house and we have a blast coming up with many different ways to construct the components. Magformers– These magnetic blocks are AWESOME and are great for providing open-ended creative play. My girls love them so much that they fight over the pieces so I’ve been asking for more sets as gift ideas from family members for their birthdays/Christmas. Not only do they love the building aspect of these blocks, but they love to construct little homes for their mini toy animals or characters. Lego Chain Reactions Kit– This is such a cool kit for the Lego lover! Art Supplies– Do you remember that feeling of opening up brand new art supplies as a kid? I still get excited. This resource of 30+ art supplies and materials will provide some great present or stocking ideas. Magic Nuudles– These are great for creating objects or sculptures without glue or drying time. All you need is a damp towel to dip them on! Spirograph Deluxe Design Set– A great set for the young or old! 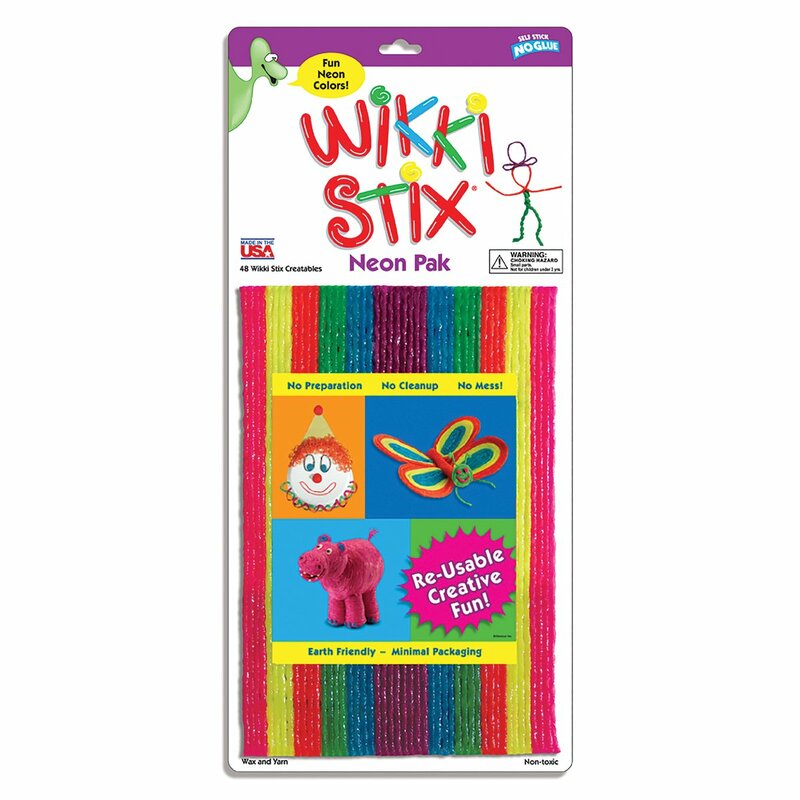 Wikki Stix– These tacky, reusable sticks are so fun to create with. They even have this perfect portable container that would be great for travel or as stocking stuffer. Gift Subscription to KidArtLit– Want to give a gift with an experience, rather than stuff? KidArtLit is a monthly book-inspired art project delivered right to your door with all materials provided, including a children’s book! Design your own bird wings. 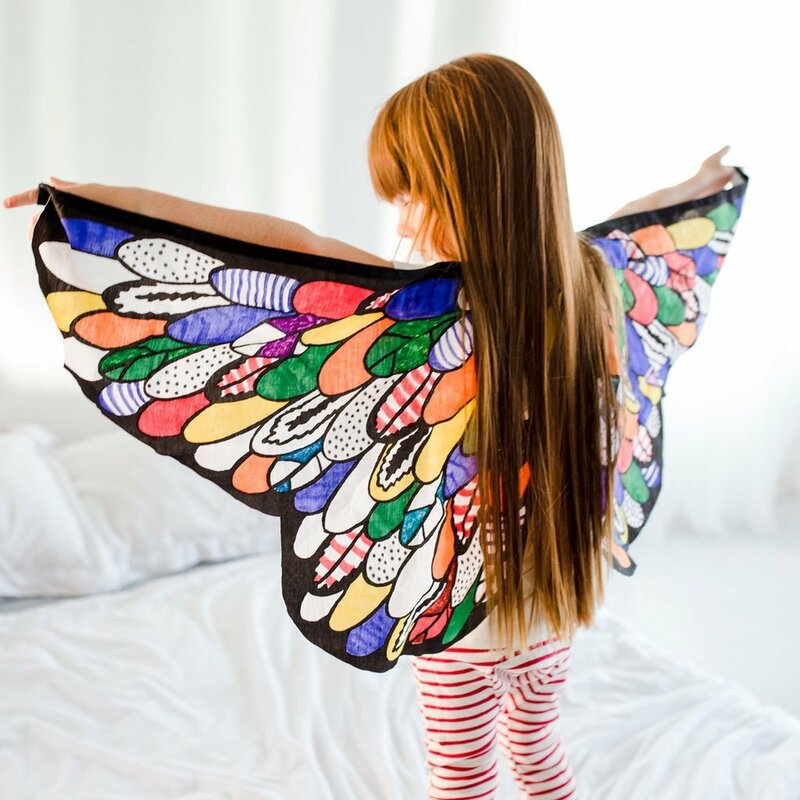 How cool are these wings?! This company offers a variety of unique play and creative kits that I am in love with. The last I checked this kit was still in stock but they tend to go quick! This Magical Hero Cape is so cute too! Melissa and Doug Let’s Play House– A perfect gift for a toddler who loves to help you clean. Hape Checkout Register– This register has provided countless hours of play in our house with our play food and kitchen. 12 Piece Wood Tool Box Set– A fun set for a boy or girl! Doctor Kit– My girls have used this set for YEARS and still keep coming back to it during play time. They like to give everybody in the house (including ALL of their animals) a “check-up” on a regular basis! Kanoodle– Perfect for developing problem solving and strategic thinking skills. A great stocking stuffer or travel game. Mancala– This was a favorite game of mine as a child! eeBoo Build a Robot Game– “Combines puzzle making, counting, tools, machines and space. Winner of the Oppenheim Gold Award”. eeBoo Opposites Matching Game– I love eeBoo products. They offer a variety of fun learning puzzles to master basic skills such as opposites, letters, numbers, and rhyming. Garden Harvest Memory Game– We love this cute memory game and especially the tray that keeps the pieces in place. 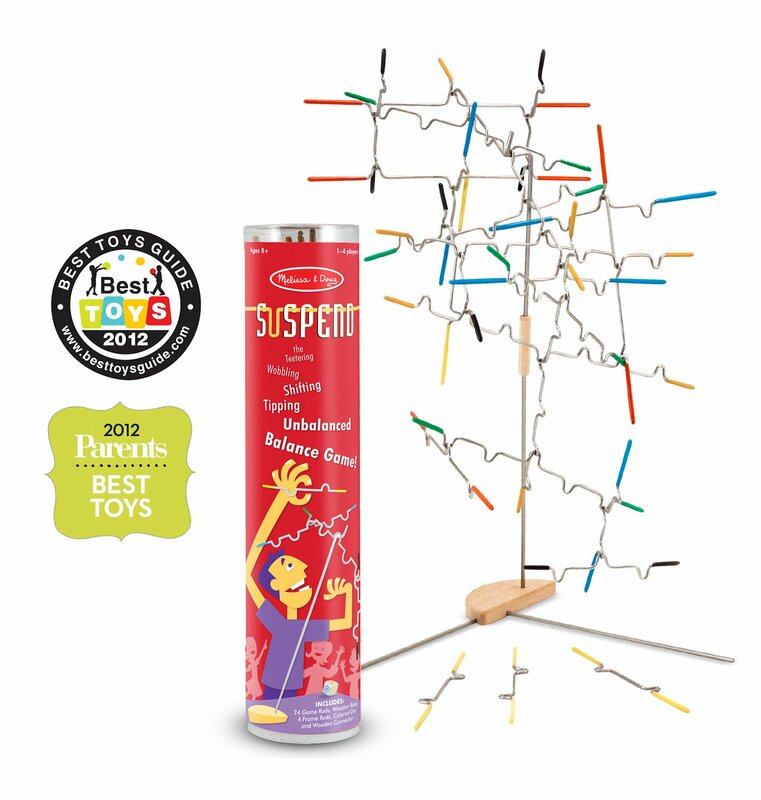 Melissa and Doug Suspend Family Game– A fun balance game that “develops hand-eye coordination, cognitive skills, and interpersonal skills”.